People spend up to thousands on a luxury designer bag, deeming it as an ‘investment’. After splurging on such extravagant goods, they then make it a point to keep their luxe purchases in a pristine condition. Even a single mark on the item is considered a flaw. Cherin Sim however, holds a totally different viewpoint. 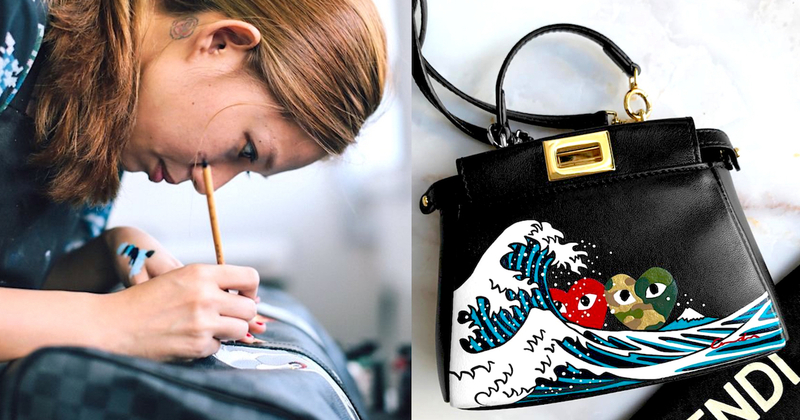 With a thriving career as a marquage artist (the French word refers to the art of literally making a mark), she specialises in painting on such designer bags and other leather goods. It’s essential to note that Cherin never paints the same thing twice. Sometimes, she even puts her own spin on popular figures such as a Hello Kitty-storm trooper hybrid to make her design stand out even more. The 32-year-old has always had a keen interest in the arts since young. She studied painting in LASALLE College of the Arts, and later pursued a Masters of Fine Arts at Goldsmiths London. She also attended a leather-working course at Scuola del Cuoio — a renowned leather school in Florence, Italy — where she learnt to handcraft leather bags. 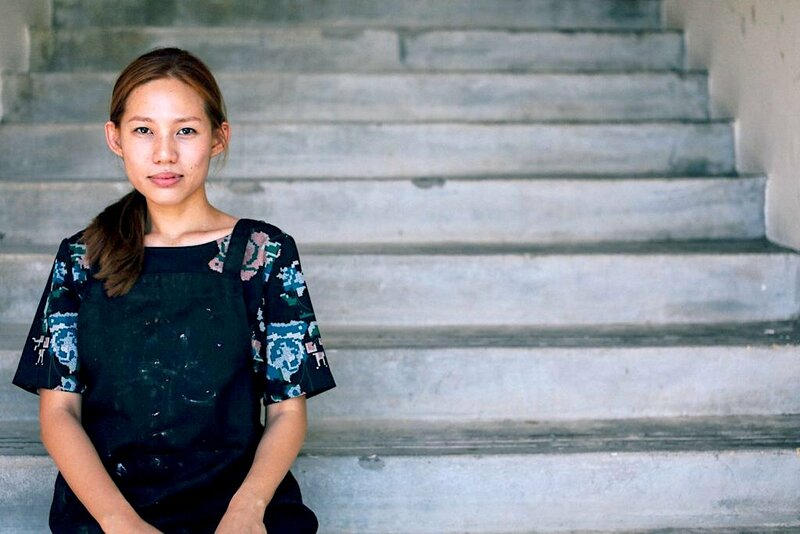 With the newly-acquired skill, Cherin started her own line of bespoke leather bags, and began offering custom-painting services. She started off working on her own items and her friends’, at minimal or zero cost. 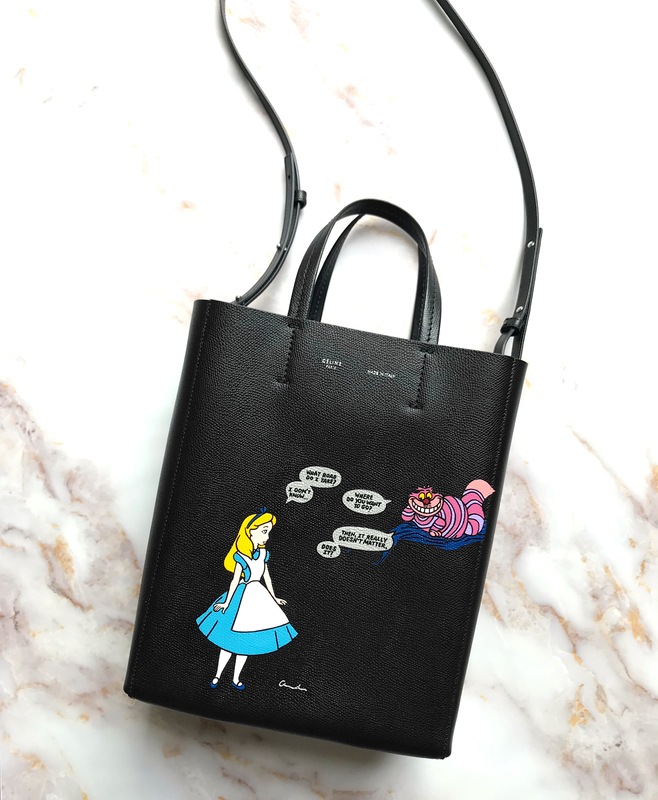 “After about a year of making and painting [the bags], I decided to [solely] focus on painting on designer bags and leather goods for my clients,” she said. My first paid commission was in 2014. I had charged about $500 for customising my client’s favourite Louis Vuitton bag, but my rates have since gone up to about $5,000 or more for big pieces like that. Her rates have at least increased by tenfold, a clear testament to the growing demand of her service. In fact, Cherin has a constantly long waiting list and is currently fully booked till mid-2021. However, Cherin claimed that people weren’t exactly receptive towards her business from the get-go. When I started, naysayers were doubtful that my trade would even take off, with people asking questions like ‘Why would I want to pay someone to deface my branded bags?’ and ‘Would that make my bag look fake?’. With people casting doubts at her craft, it caused Cherin to struggle to make ends meet in the early years. Being a young artist was also really tough on her because she “faced a lot of artistic constraints”. At the start, she tried to fully comply with her clients’ directions and requests. It did not only put pressure on her, but also forced her to compromise on her creative ideas as well. But as she matured as a creator over time, she was able to earn back the respect from her clients and take back the reigns in the artistic process. What’s imperative between a designer-and-client relationship is communication — lots of listening in particular, she advised. Despite the hardship in the early days, the thought of quitting never crossed her mind because she was sure that her passion lies in creation, and she wanted to do something that no one else was doing. Moreover, her family and friends were also really supportive of her becoming an artist, although it may not come across as a viable career to many. Fast forward to today, Cherin has over 7,000 followers on Instagram — where she regularly shares photos of her work — and scored collaborations with companies like Lee Hwa Jewellery and Seagate. Depending on the complexity of the designs, she charges four to five digits for each commission. Some factors that determine the cost are the size and material of the item, number of colours used, number of straight lines as well as the size of details. With a keen eye for detail, Cherin is particular about the tools she use. Her paints are imported from the United States, and Cherin personally travels to Japan up to four times a year to handpick her brushes, which she replaces after every one to three projects. Buying them online is not an option because the shipping process may affect the quality of the brushes. A good brush makes a huge difference, according to Cherin, adding that she spends $2,000 on paints and brushes a year. 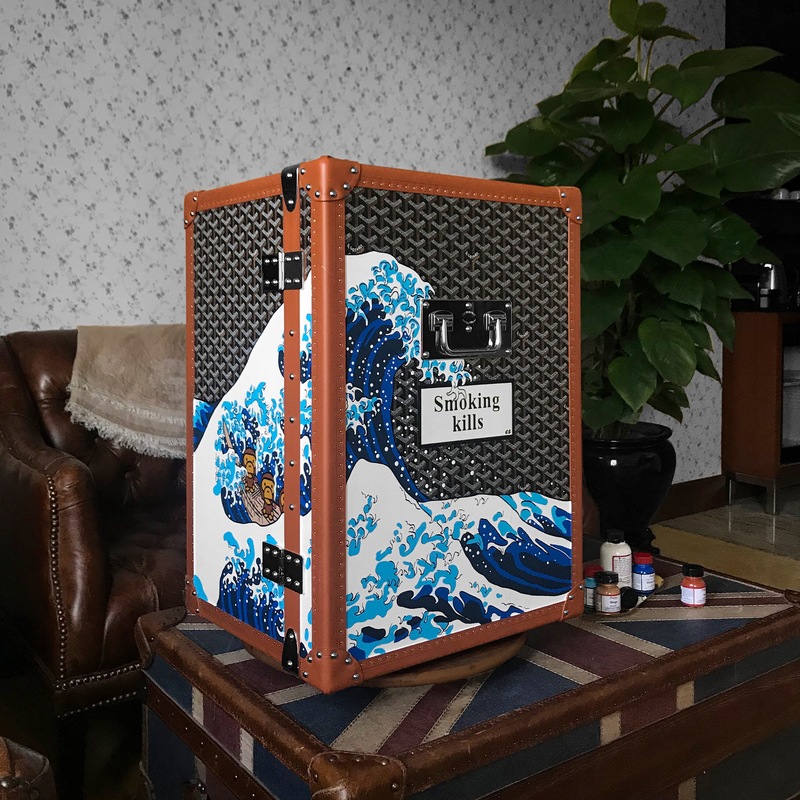 My most expensive project was [customising] a pair of Goyard cigar humidors. I spent about three weeks in Hong Kong to complete the commission and it fetched me a five-digit paycheque. She wasn’t able to name a specific figure, but revealed that it costs more than $10,000. 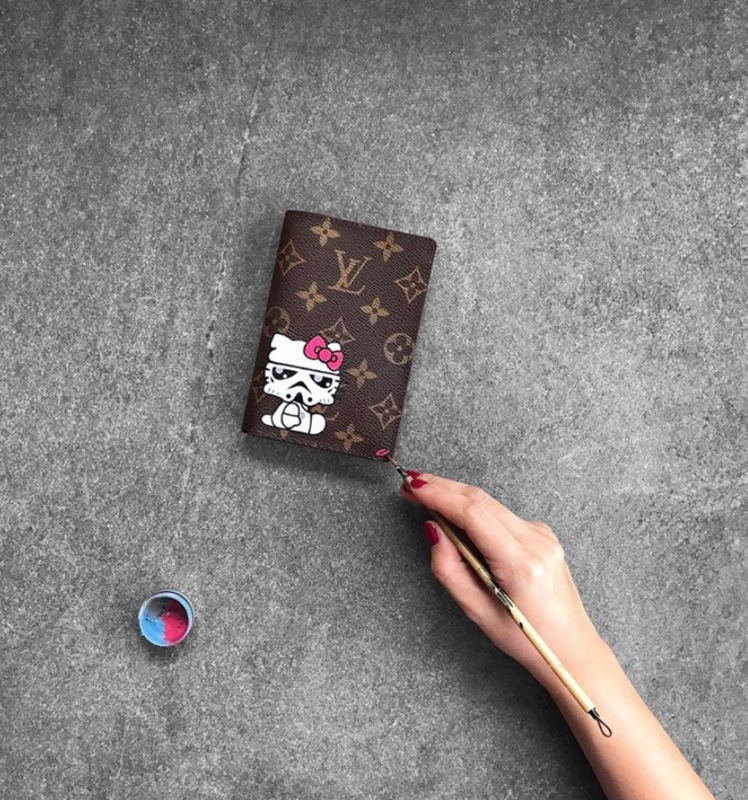 With such steep charges and expensive leather goods as a canvas, Cherin emphasises that there is strictly no room for error when she paints, so she carefully applies each brush stroke with precision. This also explains why she can only afford to take up three to five projects in a month. In addition to doing commissioned works for clients, Cherin also holds monogram painting workshops at Bynd Artisan, a local craft atelier. She added that she has several collaborations in the pipeline, and has plans to push out more works that are inspired by The Great Wave of Kanagawa (also known as the Hokusai Wave).